The Bo Bartlett Center, an 18,500-square-foot interactive gallery space, was inaugurated at Columbus State University in Columbus, Georgia on Thursday, January 18. Located on the school’s River Park campus, the former textile warehouse turned arts center was designed by American architect Tom Kundig, owner of the Seattle-based firm Olson Kundig Architects. The facility was conceived as a partnership between the university and American realist painter Bo Bartlett. 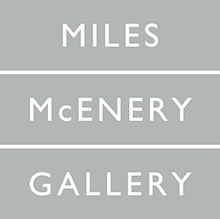 In addition to a rotating program of exhibitions, lectures, and other events, the center will also offer an annual master class with the artist, to be offered every spring, and will develop a second master class with visiting artists to be offered in the fall. It will house more than three-hundred paintings and drawings by Bartlett as well as the complete archive of his sketch books, photographs, journals, and other objects related to his artistic practice. 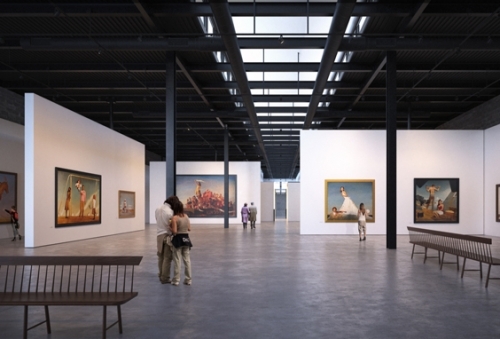 “By combining the exhibition elements of a contemporary art museum with the master instruction of a living American painter of international stature, his major works and the insights of his archives, the Bo Bartlett Center will be an unparalleled resource for students, the public, and scholars of art,” the venue’s website reads.